Sh*t Happens and Dicky Bag is here to help us to deal with it! The dicky bag is a fabric bag/case/pouch/thing with a zip opening that come in an array of sizes. It’s made of lovely neoprene and has a belt loop attachment and a clip on the back. The head of the bag unzips and opens like a mouth (Dicky Bag if you read this, you are missing out on a great design scheme!). Inside of mine I got a sealed air freshener disc (a great addition), some biodegradable poo bags that sport a daring and highly amusing slogan, and a small tub of hand sanitiser. I opted for a rugged camouflage colour instead of the floral pink or baby blue. The dicky bag is a great idea, instead of carrying your bag of poo you can carry a dicky bag containing your bag of poo. Much better for street cred! 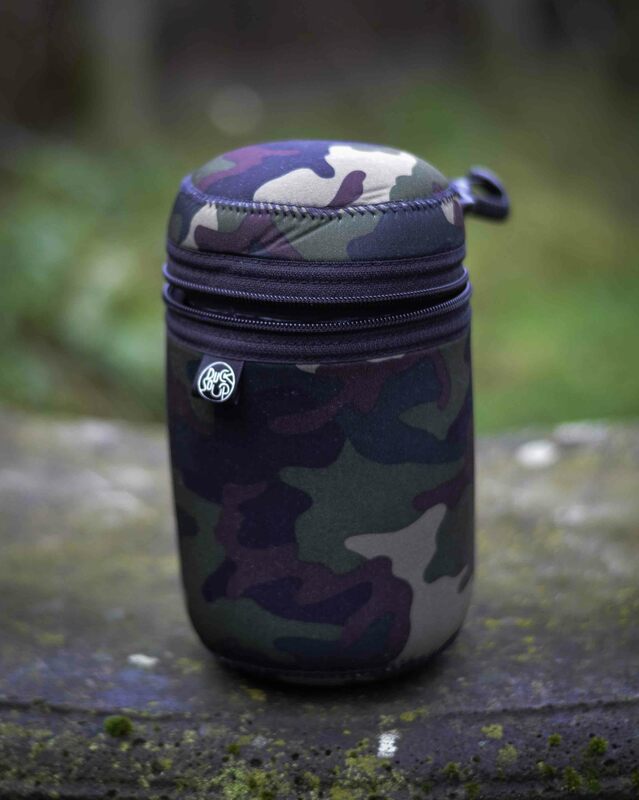 It removes the nasty smell coming from that bag in your hand plus you can store it in a rucksack, clip it to your belt or wear around your body with the shoulder strap. For me it is too big to clip onto my belt as it bounces around annoyingly and I don’t fancy wearing one on a shoulder strap. 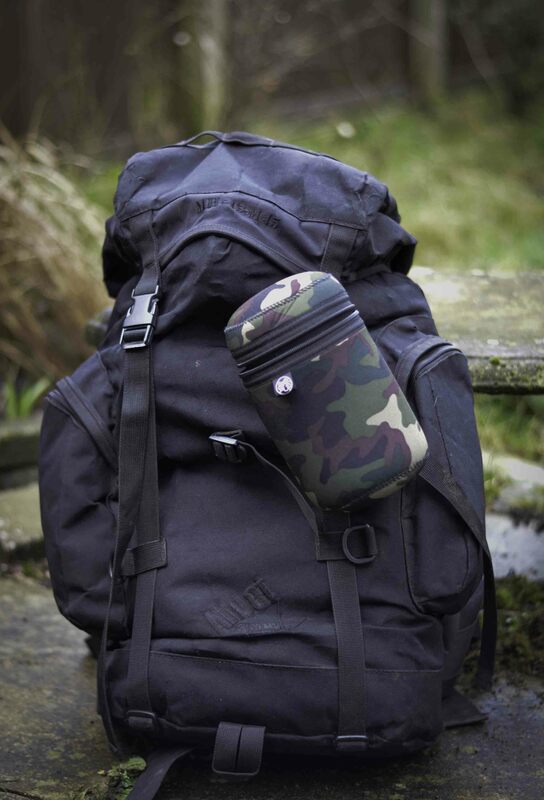 However its real strength comes into play when you are out on a long walk with your rucksack! The long hikes I do that require a rucksack are normally routes that don’t have many bins. Regardless, I still believe in cleaning up after my dog and will pick up (even if I’m on top of a mountain, who wants to have a mountain hike spoilt by dog muck on your boots?! ), but the prospect of stuffing a plastic bag of poo into my rucksack or carrying it in my hand is inconvenient at the least. Now I can clip the dicky bag onto the outside of my rucksack, where it can swing and bounce around all it likes without bothering me, or put it inside my bag. Hurrah! The thick, rugged design of the bag paired with the air freshener removes all smell, although I personally wouldn’t have it snuggling up next to my lunch. It’s also very useful on bike rides as a solution to dangling a full poo bag off your handlebars! Plus anyone who has travelled 5 minutes with a full poo bag in the car will know that the smell is overpowering! I’m not sure why that is, but wow! The dicky bag completely removes this issue. This is all great but, confession time; I don’t use my dicky bag for my normal twice daily walks. I like to walk hands free and there is usually a bin within a mile, so I’d prefer to carry my bag of poo for a little while and remain hands free for the rest of the walk than carry the dicky bag for the whole walk. It’s been over 12 months since I said I would write a review of the Dicky Bag and its due to not having a great deal of use that I haven’t written about it yet. But let’s not end on a downer. HUGE credit is owed to Dicky Bag! They have not just made a really unique item that has a great purpose but they are also battling the nationwide problem of dog fouling and the campaigning, advertising and input I have seen from them so far is much-needed. 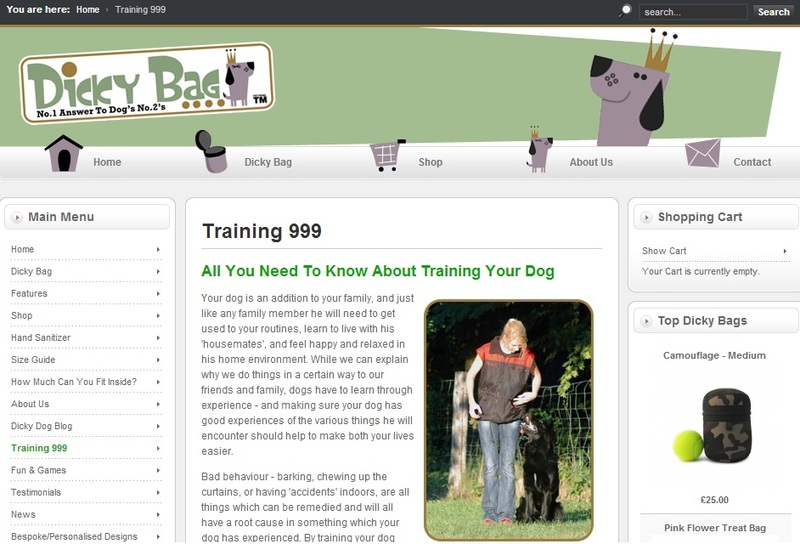 They were one of the first (if not the first) to back new company Streetkleen when they stepped out of the blue with a daring “solution” to dog foul and their website offers good, sound dog training advice as well as fun competitions to keep dog owners engaged. I am sad to see that their online blog has not been updated since June 2013 (which is a particularly good article), and I really hope they continue to push forward in supporting and creating campaigns that can help to reduce the dog fouling issue! Education is the key right now and the more the better. Overall Three Cheers to Dicky Bag!